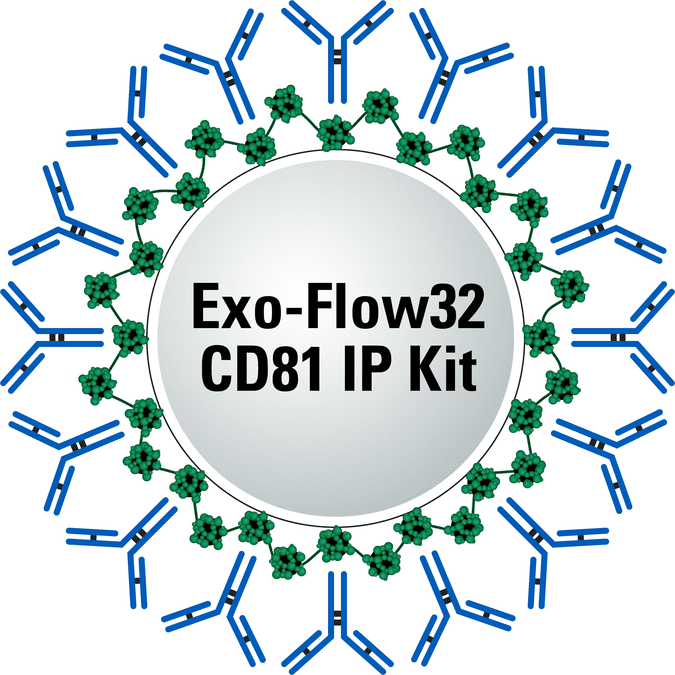 With magnetic beads already pre-coupled to anti-CD81 antibodies and delivered in a 32-well format, SBI’s Exo-Flow32 CD81 IP Kit simplifies high-throughput, antibody-based exosome isolation. Our magnetic bead-coupled anti-CD81 antibodies are extensively validated, and the high-quality Exo-Flow IP kit components ensure reliable, reproducible affinity-based exosome purification directly from serum or plasma. Exosomes can also be purified from other biofluids such as media, urine, and CSF, but must first be concentrated using either ExoQuick-TC® or ultracentrifugation.